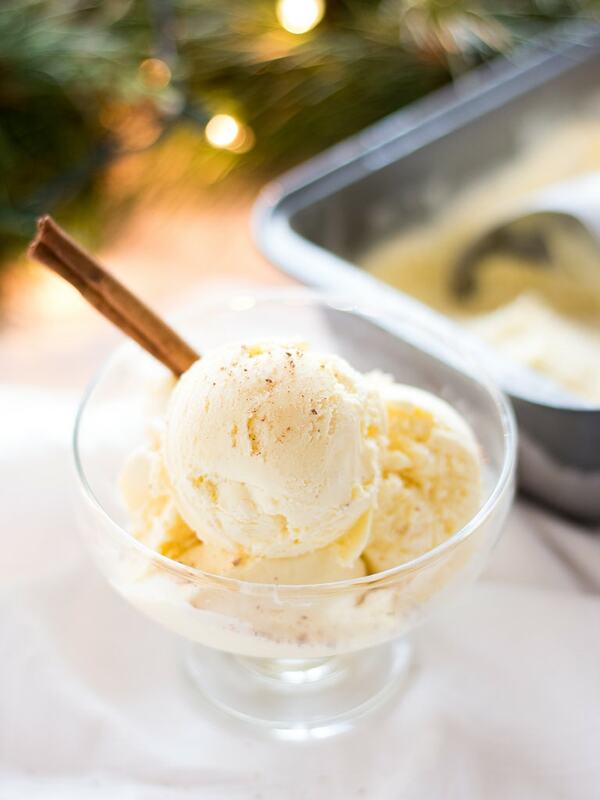 Get in the spirit this holiday season and make your own eggnog ice cream. With only four ingredients, this recipe is a must try if you love eggnog! 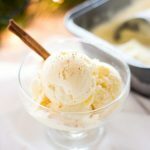 Today I took a break from all my cookie decorating and pulled out my ice cream maker to make some eggnog ice cream. Topped with Reddi-wip® and a sprinkle of nutmeg, this dessert will without a doubt get you in the holiday spirit! Eggnog is one of my favorite flavors to experiment with this time of year. It’s so creamy and delicious, I love incorporating it into my baking (did you see the cupcakes I made?) The flavor lends itself well to desserts so it’s no surprise that I was eager to try making ice cream with it. This recipe couldn’t be easier. 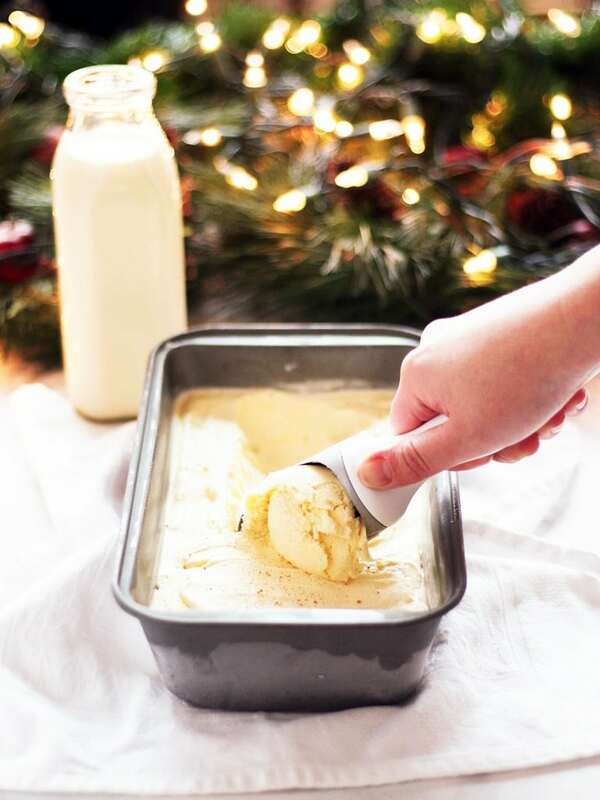 Simply mix four ingredients together (eggnog, heavy cream, condensed milk, and vanilla) and let your ice cream maker do the work. But of course half the fun is serving the ice cream to friends and family (or perhaps a big bowl for yourself, no judgement here). I personally love topping ice cream with Reddi-wip—it makes it all the more fun to eat! (By the way, I found my can of Reddi-Wip right by the eggnog at Walmart). 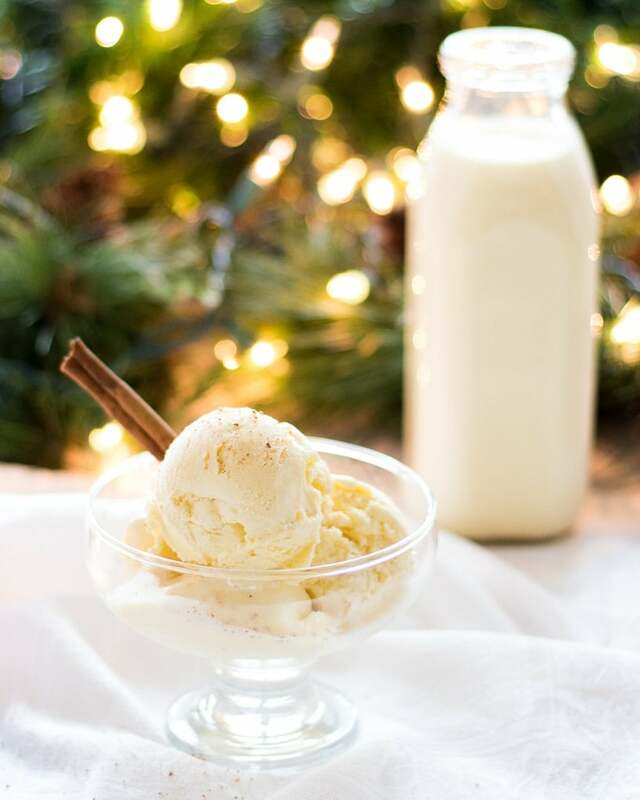 For more festive fun while serving eggnog ice cream, sprinkle each serving with nutmeg and add a cinnamon stick for garnish. If you ask me, this is the ideal dessert to eat while cozying up by the fireplace and watching Christmas movies. 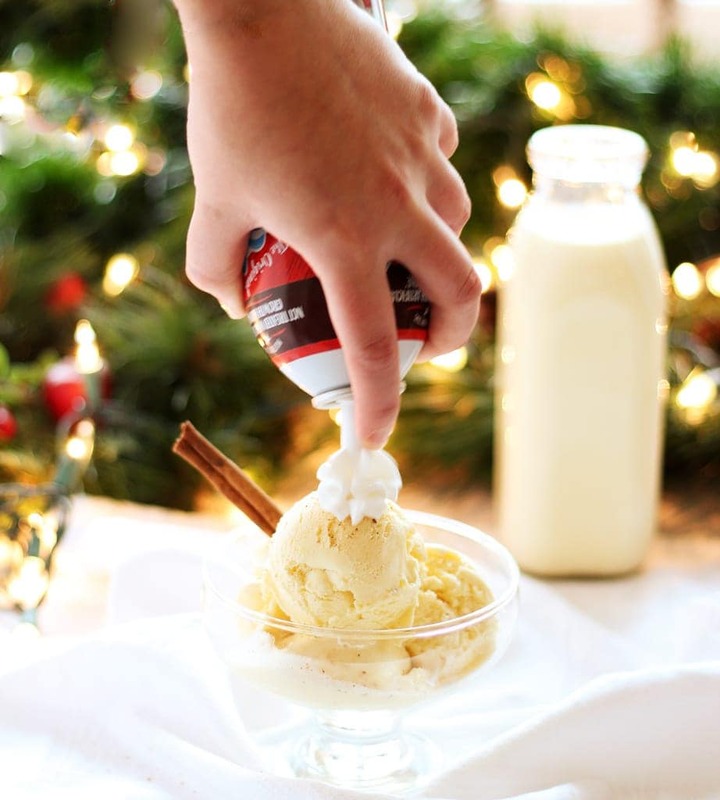 So gather your friends and have an eggnog ice cream party. Enjoy! In a large bowl, combine eggnog, heavy cream, condensed milk, and vanilla until incorporated. Pour the mixture into an ice cream maker and freeze according to manufacturer's directions. It took me 25 minutes to reach a soft-serve consistency. Transfer ice cream to a lidded container. Cover surface with plastic wrap and seal. Freeze ice cream for 3 hours or overnight for best results. Serve ice cream with whipped cream and a sprinkle of nutmeg. I made this using an old fashioned hand crank ice cream freezer. Mine makes 5 its, so I trippled the recipe and added 2 tsp of nutmeg. 35 mins of cranking time to get it to very thick milkshake consistenancy.